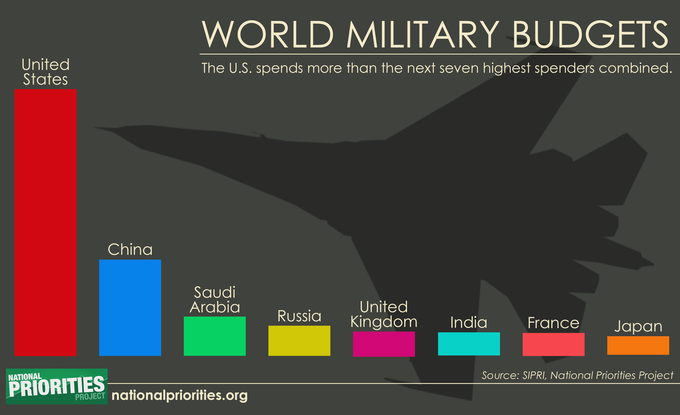 The U.S. outpaces all other nations in military expenditures. World military spending totaled more than $1.6 trillion in 2015. The U.S. accounted for 37 percent of the total. U.S. military spending dwarfs the budget of the #2 country – China. For every dollar China spends on its military, the U.S. spends $2.77.